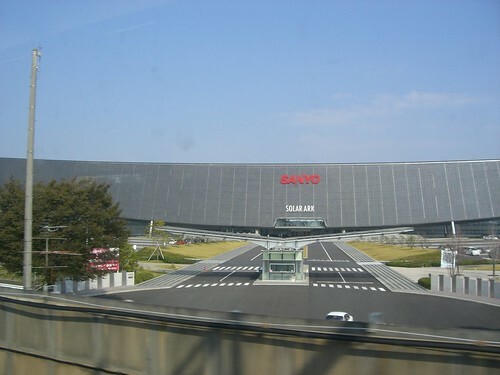 Sanyo Solar Ark is a unique, ark-shaped, solar power plant in the town of Anpachi, Gifu Prefecture, Japan. The solar building has 5046 solar panels capable of producing 630 kW of electricity (about 530,000 kWh annually). 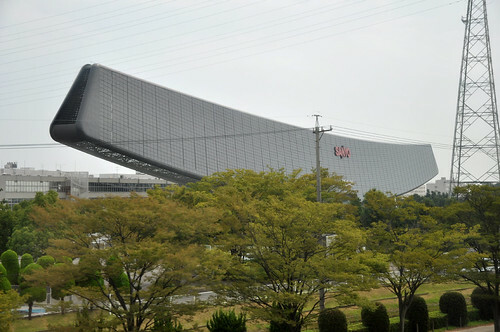 Besides impressive ark shape, the uniqueness of the building lies in the fact that all the photo voltaic cells installed for power generation are factory rejects, as their output fell short of the standards fixed by the government. Instead of throwing the rejects, the company decided to use the same in this solar ark. Located at the center of the Solar Ark is the Solar Lab, a museum of solar energy to create awareness about the importance of solar power as an alternative source of energy. The Solar Ark is one of the largest and most impressive solar plant in the World. The Ark has huge length of length of 315 metres, height of 37.1 metres at the ends and 31.6 metres at center with a ground clearance of 20 metres. The cantilevered ark is supported on thin pillars and from distance it appears to be hanging in air. The space between the solar panels is filled with more than 75,000 red, green and blue computer-controlled LEDs which lit up the area between panels. 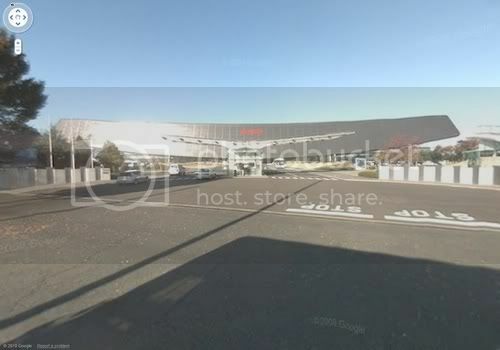 Located next to Sanyo’s semiconductor factory in Gifu, Japan, co-incidentally the Ark is at the Geographical Centre of Japan. Source of info: inhabitat.com and Official of website of Sanyo.